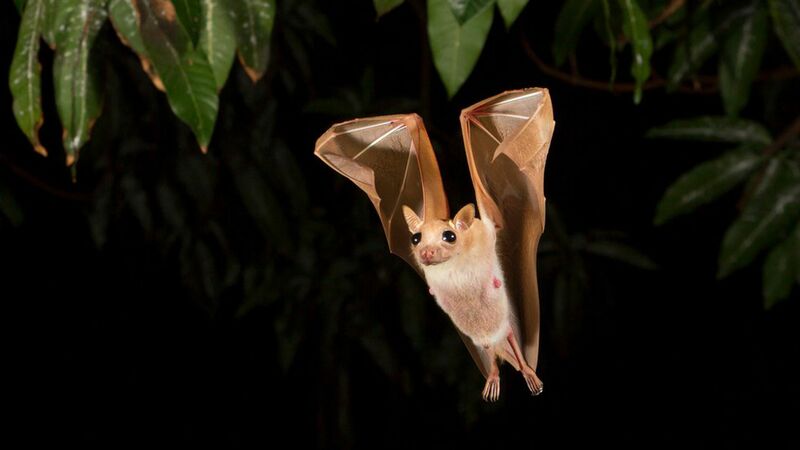 Bats are world-class echolocators, capable of navigating tight spaces and detecting minuscule insects. But smooth manmade structures can foil their sonar, a study published today in Science finds, potentially causing fatal collisions. Why it matters: Bats are voracious eaters of insects, including many agricultural pests. They play a key role in keeping bug populations down. But urban noise pollution, habitat loss, pesticide use, wind farms and a fungal disease are causing bat populations to plummet. This study could explain why dead bats are frequently found near buildings. What they did: Scientists at the Max Planck Institute for Ornithology created a rectangular flight tunnel, and placed a two metal plates in the tunnel, one vertically against the wall and one on the floor. Of the 21 greater mouse-eared bats flown in the tunnel, 19 touched the vertical plate at least once. None of the bats touched any other part of the tunnel. Then the scientists placed vertical plates near real bat colonies — and the wild bats crashed into them, too. What's happening: The researchers think that the unnaturally smooth manmade surfaces reflect sound in a way that makes them almost undetectable. A bumpy surface would scatter sound in a way the bats could use. A smooth surface can redirect it away from the bats' ears, rendering the structure auditorily invisible.